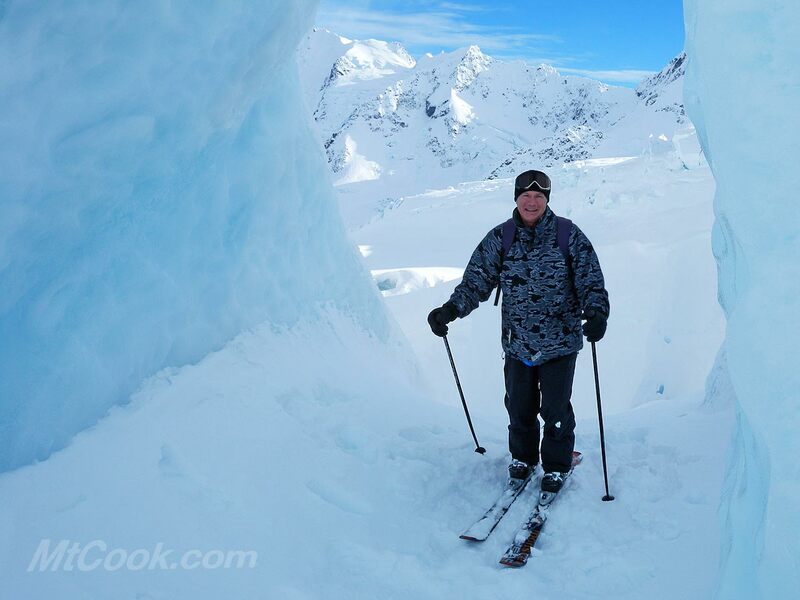 Skiing in the Aoraki Mount Cook Ski Region with Southern Alps Guiding is the ultimate adventure. 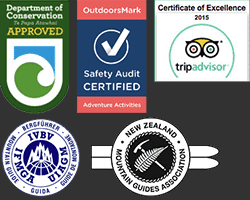 Southern Alps Guiding is now in its 31st year of operation and continues to deliver a professional high quality service to our customers. Charlie Hobbs, lead guide and owner, has over 30 years of guiding experience in this area. 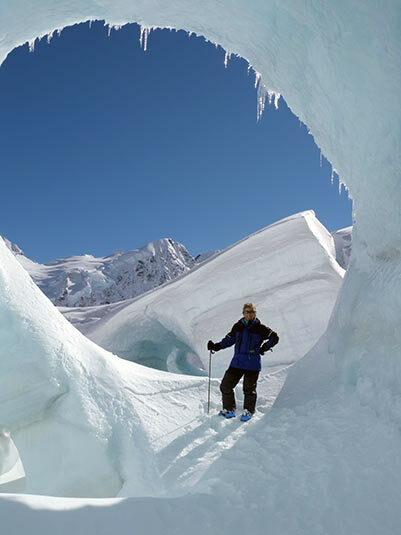 He is an internationally qualified Mountain and Ski Guide IFMGA/UIAGM. He will guide you on this special day. You'll enjoy being guided by Charlie because he loves being in his "office" and knows every nook and cranny on the glacier. 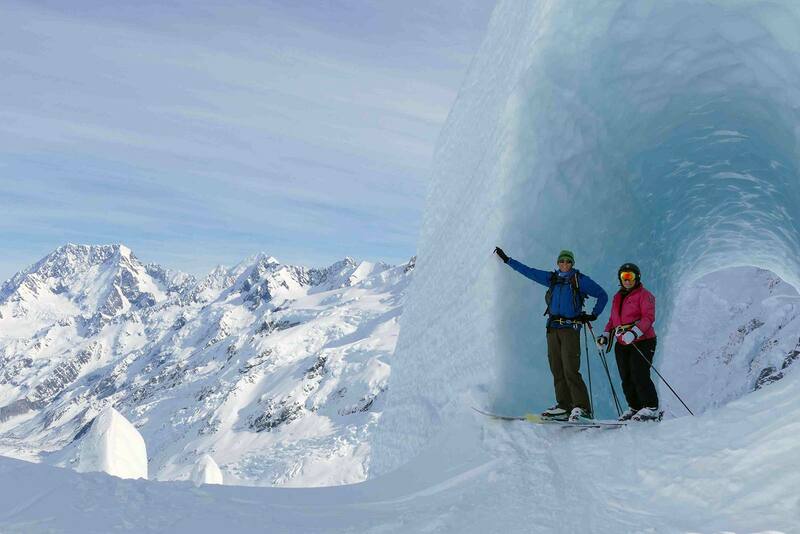 We'll take you to all the special locations on the Tasman Glacier. The world-famous Tasman Glacier is 29km long and flows among the highest mountains in New Zealand. 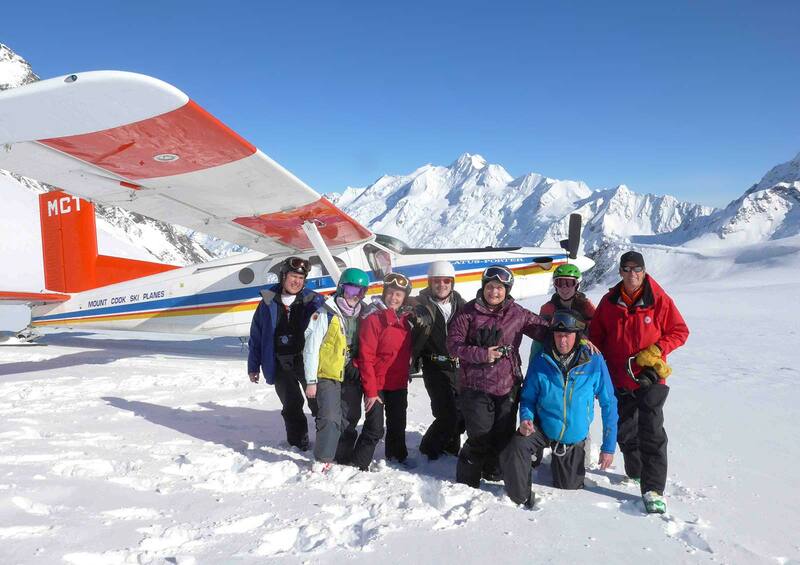 Fly into the heart of the Southern Alps and land at the head of the Tasman Glacier in the famous ski-equipped ski plane. 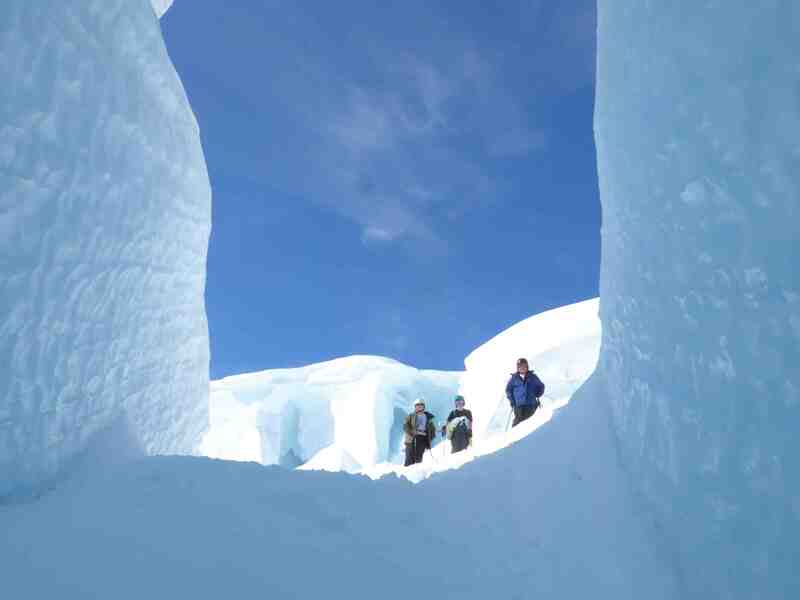 Visit incredible ice caves, peer into deep crevasses (from a safe viewing point) and visit glacial canyons. The skyscrapper sized ice blocks are an amazing site. Then onto a 8-12km ski run to your awaiting aircraft. "Get in, buckle up and start again". 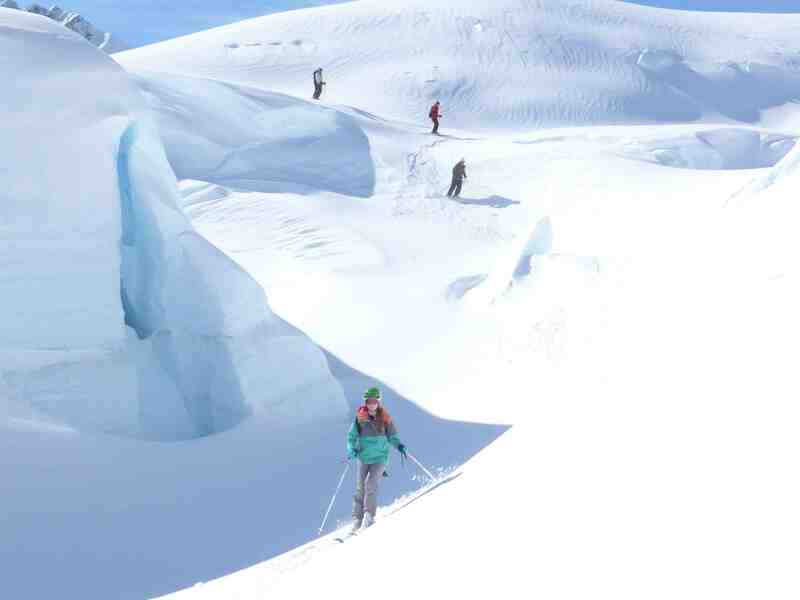 Explore a different distant corner of this great glacier for another lengthy ski run. 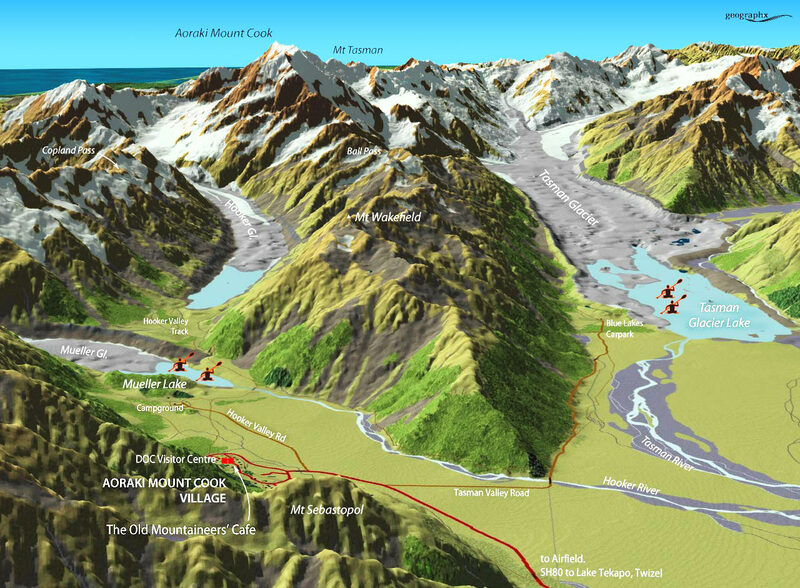 After our second "long" ski-run we finish off with a scenic flight back to Aoraki Mt Cook airport. It's then off to the Old Mountaineers for refreshments. We have "fat skis" available for hire which make your day on the Tasman Glacier much more enjoyable. 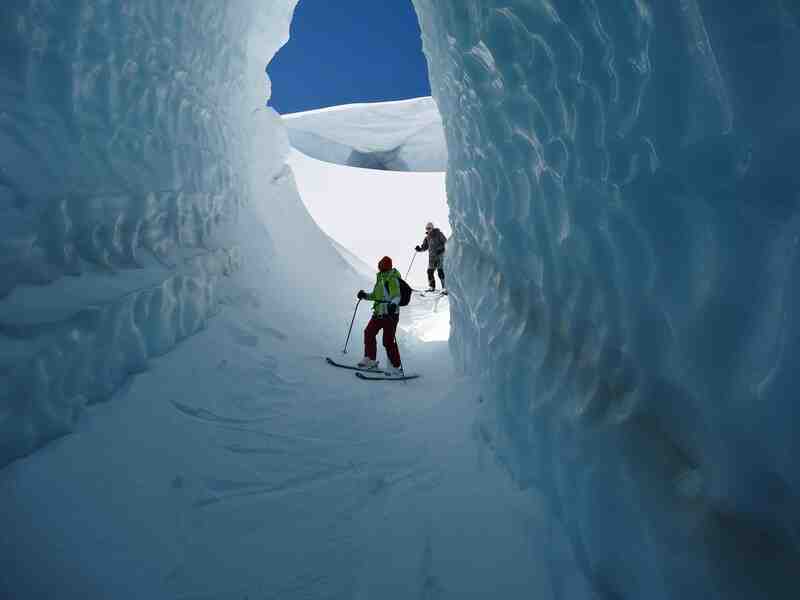 Above: Intermediate skiing through the Ice Canyons. 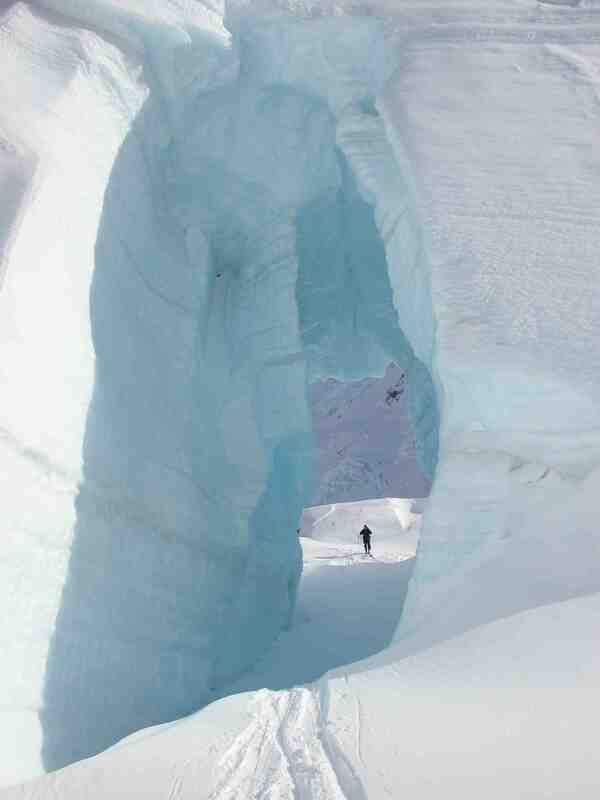 HERE'S WHY WE HAVE SO MUCH SNOW ON THE TASMAN GLACIER! 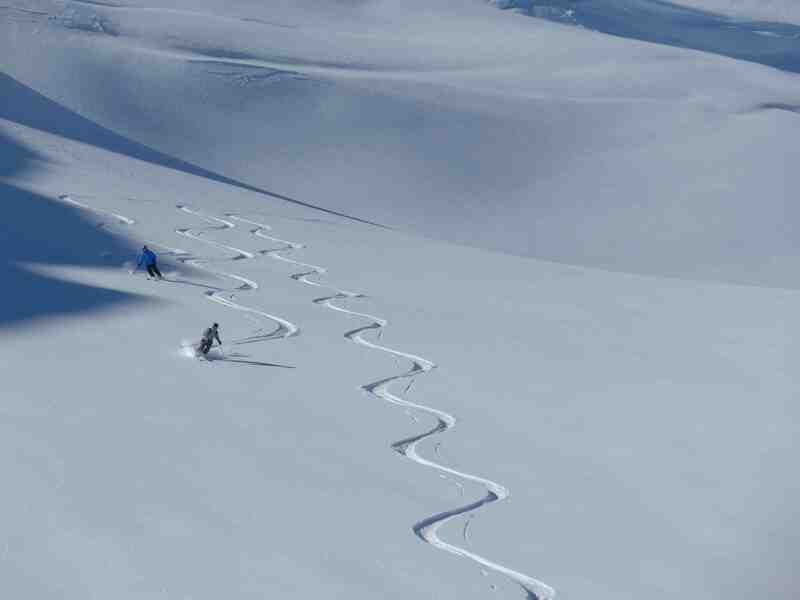 Visit our heli Ski page for exciting Glacier Heli Skiing options from the high ridges of the the Southern Alps. 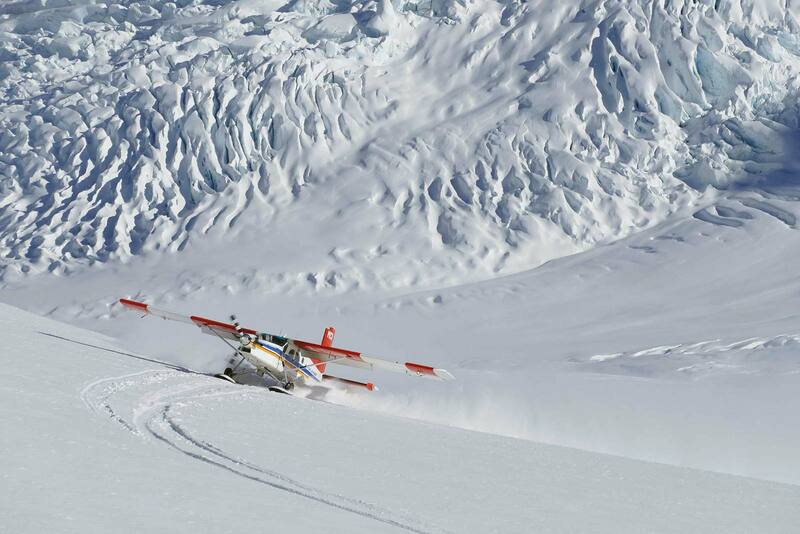 Join us on our EXCLUSIVE heli ski runs at the head of the Tasman Glacier in the Aoraki Mt Cook National Park. 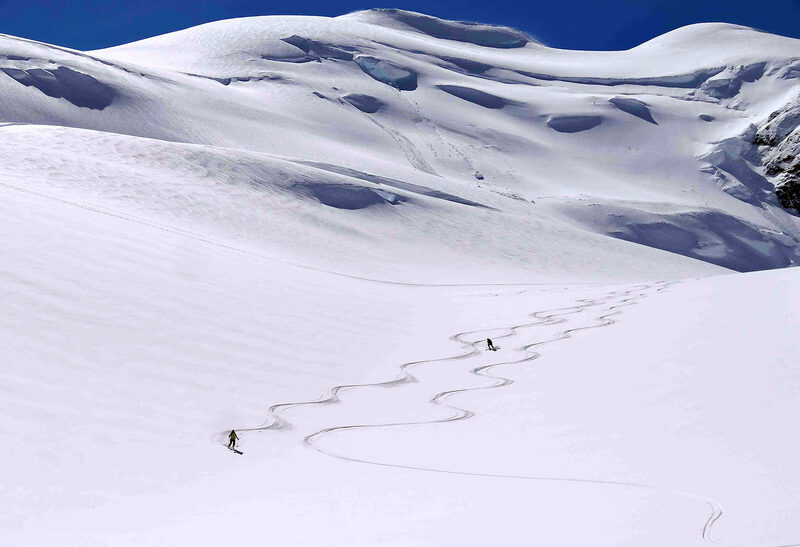 We also operate Heli Skiing in the Hopkins Valley and the Black Hills in the Ruataniwha Conservation Estate. 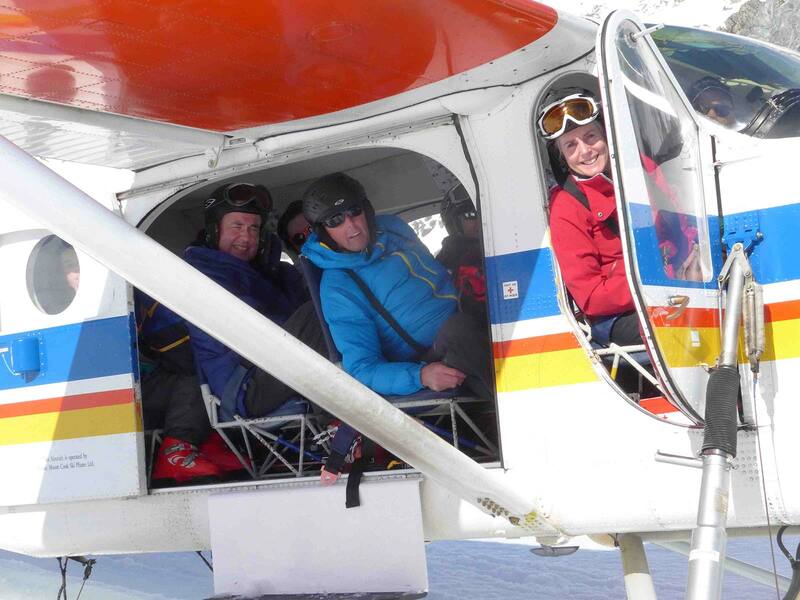 Go to our Heli Skiing page for more information on our fantastic heli skiing options. All trips depart from The Old Mountaineers' Cafe, Bar and Restaurant next door to the Department of Conservation Visitor information centre. 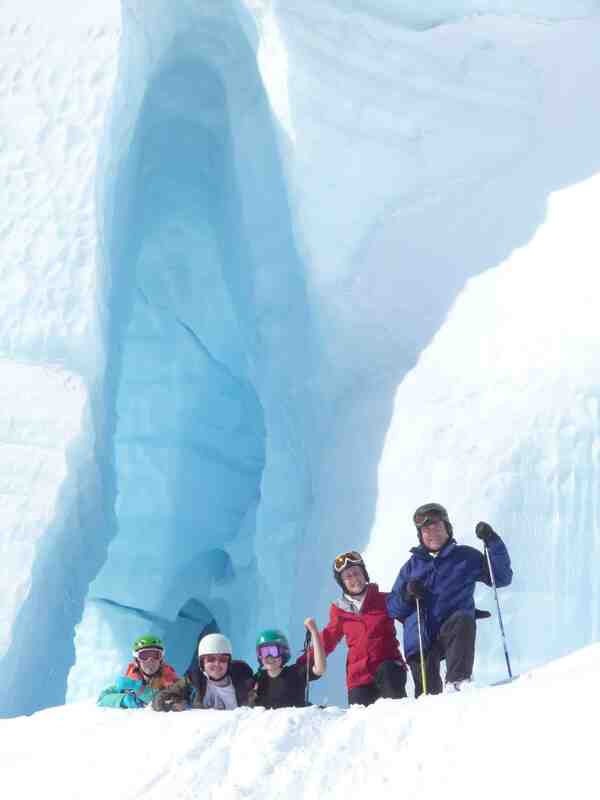 Tasman Glacier Skiing operates between July 1 and October 31. Minimum numbers required. See our Contact Page. We are Safety Audit Cetified and DOC Approved. Bring along your down hill skiing equipment. 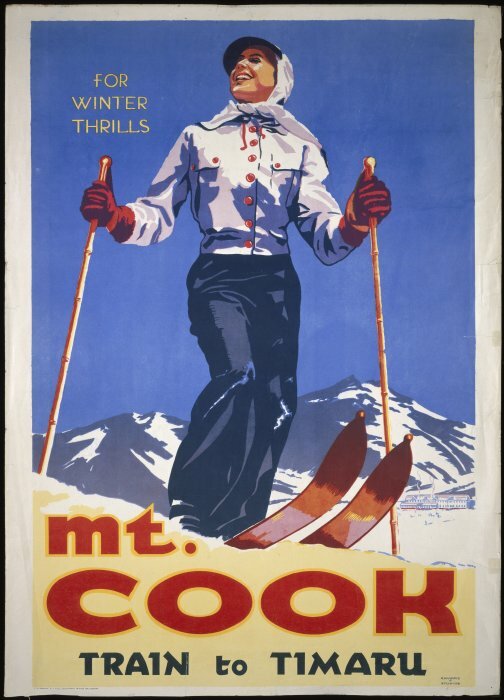 Warm ski gear is essential. Sunblock, camera. A small day pack comes in handy. Ski helmets are welcomed. Sorry - no snow boarders on the Tasman Glacier Skiing trip BUT we do take boarders on the Tasman Glacier Heli Ski Day trip and Glacier Heli Skiing trips. 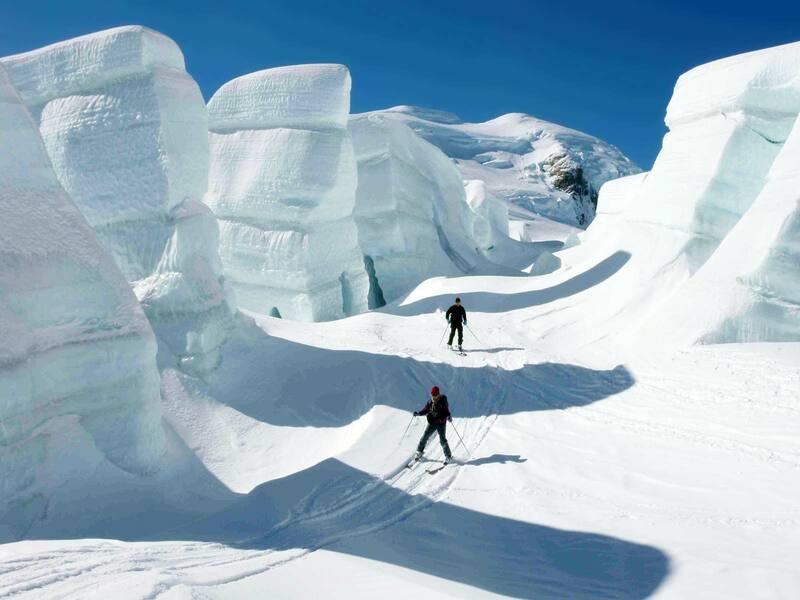 Glacier Skiing and Glacier Heliskiing updates - call or text on 027 434 2277.